The goal of Ballet Classique is to provide a high level of training for students who are interested in learning more about the requirements for a potential professional dance career in ballet. 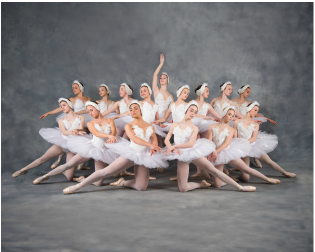 The ensemble will explore classical ballet training in a variety of ways including technique training, ballet history, ballet competitions, workshops and performances. We will also focus on activities that offer insight into the process for continuing with dance in college or professionally. The team competes at several competitions throughout the year including Y.A.G.P. Audition is required for acceptance into the program. Please contact us for more information. 2019-2020 Ballet Classique auditions TBA. Old and new members welcome to audition for our ballet company. Contact us for more info.